Posted on Sunday, December 2nd, 2007 at 5:37 am. It seems that every essay I’ve read on hapa identity begins with this question, perhaps because a hapa’s own identity formation begins with others asking this question. Being a mixed race Asian (let’s see how many different labels I can fit into one essay! ), I am rather used to being identified in different ways by different people. Though who I am is very clear to me, labeling it is more difficult, and I imagine that for people who aren’t mixed it may be a strange space to comprehend. Recently, I embarked on an oral history project with first generation Taiwanese Americans, and the stories I’ve heard have added another dimension to my thoughts on my hapa (?) Taiwanese (?) American (?) identity. I’m in my 30s now, and I’m beginning to think that there will never be one “answer,” just a series of questions and ideas that lead to yet more. Thus, the form of this post reflects that: rather than a unified piece with a beginning, middle and “end,” this is a collage. But can you refine things even further and call yourself Taiwanese American, especially if your mother, though born in Taiwan, disavows a Taiwanese identity? Especially if the people you have been talking with make a strong and long-standing distinction—born out of a very concrete history when the distinction could determine your future, or even your life—between Chinese-in-Taiwan and Taiwanese? In the summer of 1999, I took my first solo trip to Taipei. I had been living in Taichung, with my aunt, for a year already, and somehow I’d managed that year without once visiting the Shilin Night Market. The trip is memorable to me not because I ate the first bagel I’d had in a year, or that I found a Starbucks (this was before there was a franchise on every corner), but because it became the first time I heard of the 228 Incident. This, in itself, was significant, as it led to a project (a novel) that has consumed me for the last 5 years, but even more so because the discovery of the incident also marked the beginning of my understanding of the Taiwanese (and, by extension, the Taiwanese American) identity. Wandering around downtown, I stumbled across New Park or, as it’s more commonly known, 228 Peace Park. I encountered the old Taipei Broadcasting Bureau building, faintly Spanish in design, the new home for the 2-28 Memorial Museum. I walked among portraits of the dead and missing, looked over their personal belongings—card cases and books, etc.—and read stories from their surviving family members. In short, I discovered a horror, a secret history, that I had never before known, and I wondered how such a thing could have been suppressed for so long. Briefly: On the night of February 27, 1947, a widow selling black market cigarettes had her goods confiscated by KMT military police. She protested, claiming they were all she had to make a living on, there was a tussle, a crowd formed, she was pistol whipped and another bystander was shot. The incident set fire to the long smoldering resentment of the Taiwanese toward the newly arrived KMT, and the next day, on 2-28, they took to the streets in protest. There was a back and forth of negotiations, martial law, Mainlanders hiding from angry Taiwanese, and then reinforcements from China were called in and the tables turned. The KMT quickly and efficiently decimated a large segment of the intellectual and political Taiwanese elite (plus anyone else who got on the bad side of the wrong person). Because the arrests and executions were quick, sometimes random, and illegal, no records were kept and it is not known how many were killed, though the stated figure ranges from 10-20,000. The whole thing is much more complicated that this—stretching back into the Japanese colonial era and forward, past the end of martial law, but skeletally, this is the 2-28 Incident. But I am trying to talk about identity. Some people claim that the 228 Incident is the root of the modern Taiwanese identity. The persecution, the enforced silence, the smothering of the mother tongue—these all separate the waishengren (“people from outside the province”—the label is itself problematic, but that is another essay) from the benshenreng (“people from this province”). Others call the distinction as one between “old” immigrants and “new “immigrants,” naming only the aborigines the real “Taiwanese.” In my interviews, I’ve found that there is much diversity in defining the “Taiwanese” identity. In his book The Accidental Asian: Notes of a Native Speaker, Eric Liu notes that the identity “Asian American” was created as a defensive posture against a common experience of prejudice. Asian Americans grouped together because non-Asians lumped them together. As there was less and less to fight against, Asian Americans started to try to base the identity on commonalities—to find the common ground between Korean, Chinese, Japanese, etc (manga? kimchee? Bruce Lee?). In Taipei today, and even in the homes of my waishengren family, you hear Taiwanese and Mandarin being mixed without regard for sentence—or even thought—borders. Many young people are aware of the “retrocession,” of 2-28 Incident, of martial law, but it’s old history to them. They have other issues: Taiwan’s exclusion from the global politics, the looming threat of China. These things matter because they are in Taiwan, on this island. The Taiwanese identity—perhaps not now—but in the future, may become a national identity rather than a predominantly ethnic one, the way “American” encompasses so much, but most of all a common culture, a common patriotism. So what, then, of Taiwanese American, especially when “Taiwanese” seems to function as an ethnic adjective for the noun “American”? What ties us together? Do we meld differences between waishengren and benshengren from our place in America—are we linked by what we have in common: that little leaf shaped island? I think that for the second generation, this is a necessary way to think. Racial labels are fluid. Whenever there has been a need to expand a population, the definition of that population has simply been expanded (one example is the one-drop rule of African American identity, established during the slave era, and now wielded by the African American community itself to create strength in numbers). With Taiwan’s “official” existence diminishing, strength in numbers is needed to create a voice strong enough to be heard over the rumblings of China. Like I said, this is a collage, and I have no answers, so maybe it is appropriate to end with that question. If identity is not something we are born with, but can come from multiple sources, if it can come from shared experience, if others can force it upon us, then can it also be chosen, can it be modified? Can an American girl, one-half Asian (but which half? left or right? ), be Taiwanese American? 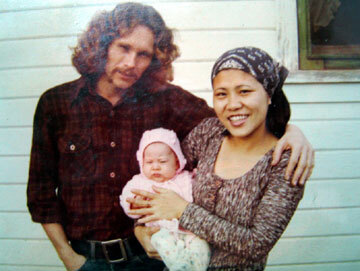 Born in 1976 in Sacramento, California, child of parents who met during the Vietnam War when her father was stationed in Taiwan, Shawna Yang Ryan graduated from the University of California, Berkeley, and received a M.A. from the University of California, Davis. 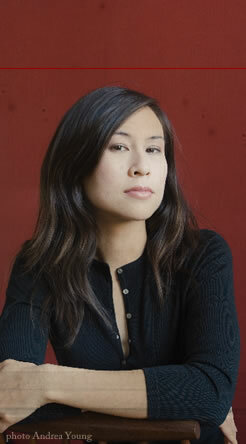 In 2002, she was a Fulbright Scholar in Taiwan, and in 2006 received the Maurice Prize for Fiction. She currently lives in Berkeley, California. Her next project is a book about Taiwan’s 40 years of martial law and she is looking for personal histories. If you–or someone you know–lived in Taiwan any time during the period of 1947-1987 and are willing to share that experience, please contact Shawna at shawnayangryan(at)gmail.com. Visit her website at ShawnaYangRyan.com. For those in the San Francisco Bay area, join this talented novelist at an upcoming reading hosted by EBTACSC, NATMA 2G, NATWA II, and TaiwaneseAmerican.org. The event takes place on December 9, 2007 at 1:00 pm at the East Bay Taiwanese Community Center, 1755 Sunnyvale Ave., Walnut Creek, CA. To see the Evite link, click here! I think people don’t understand the difference between ethnicity and nationality. To clarify, ethnicity is your genetically given background from your parents. Nationality is what country’s nationalism you take (this can change). The former is not optional. Culturally, people absorb ideas of nationalism, which they make take with them to a new country, which causes some confusion. I often find many people of Chinese descent confused about their ethnicity, if they or their parents had been born in a country outside of China. For example, I often meet people who are ethnically Chinese born in Vietnam. They will call themselves Chinese-Vietnamese. This is correct if they use Chinese as their ethnicity and Vietnamese as their Nationality. However they are not ethnically Vietnamese. When they move to the US, they are then Chinese-American, because they have given up their Vietnamese citizenship. In my opinion, the same is true for those Chinese who were born in Taiwan and did not intermarry with any of the people who resided there before 1949. (Note: People with a heritage born before from 1949 mostly have relatives with some aboriginal blood intermixed from the maternal side intermixed with paternal hoklo/hakka blood. According to a recent study,this accounts for 85% of the Benshengren) Following the one drop rule in America, they are ethnically Taiwanese, as are aboriginals. Given China’s patriarchal culture also seen in Hoklo/Hakka culture, the aboriginal mothers and grandmothers stories aren’t immortalized and have been lost to memory. With this, Taiwan itself has a complex political nature and many like to use the term “Taiwanese” in a political/national sense. People who came with Chiang Kai Shek distinguish that they came with him 1949, differentiating them from the Communist. If people feel they are Taiwanese in this sense, they could easily call themselves Chiang-kai-shek-ians/pan blue-ers/49ers, etc. I do understand that other Chinese born in Taiwan who now immigrated to America only knew “sweet potato” island as home and is a special place in their heart. In that case, just say that you are Chinese-American whose parents, grandparents, or self was born in Taiwan. No different than being an Englishman who happened to be born in Spain, after their family resided there, and now has moved to America. I have an outside perspective. I am not Taiwanese, but my children will be half. Because of all the confusion, I plan to tell them they are Formosan. I don’t want that part of their heritage to be forgotten, as it was repressed during the “White Terror” for their ancestors. Being ethnically Chinese and Being mixed Formosan-Hoklo is not the same. I think it is rude to belittle heritage of the repressed and forgotten by lumping anyone in Asia as Chinese. For me, I am a mixed Asian. The ethnically Asian parts of me are primarily Vietnamese, but also Cham, Siberian, and Non-Han Chinese. I would feel injustice if my child was socially programmed to forgot their mother heritage, after being lumped callously by people who did not recognize me, as the aboriginal women or those of formosan/hoklo/hakka descents were not recognized. In America, there is much diversity, because we do recognize other ethnicities and do recognize past grievances and injustices. We enjoy what each culture has to give. In America, you are American after one generation. This is not true in the other parts of the world. So, in the greatest country that ever was, let us just be happy being American. My grandparents fled from China to Taiwan, my parents were born in Taiwan, and I was born in the US. My parents have always identified as Chinese, so I’ve always identified as Chinese, Chinese American, or ABC (American-Born Chinese). Ethnically, I’m Chinese. My parents are from Taiwan, so I’m culturally shaped by Taiwan as well. My nationality is American because I was born and raised in the US. I live in an American city that’s very Cantonese and Mainland Chinese, and I’m an anomaly here as someone with Taiwan roots. We’ve always been a unique sort of Chinese in our city. That’s probably why I tended to get along with immigrants who are ethnic Chinese from Southeast Asia, like Chinese Vietnamese or Chinese Indonesian. We’re ethnic Chinese, but with heritage not directly from China. I’ve never really identified with Taiwan, and I was never too fond of it when I visited a few times. I would never really want to spend extended time there or be an ex-pat there. I really don’t know how other waishengren descendants identify. I will often know that people have parents from Taiwan, but I don’t know if they’re waishengren or benshengren, or if they really care. The politics of Taiwan doesn’t have anything to do with those of us born in America. We’re only concerned with our day-to-day lives here as Asian Americans, and any stereotyping/discrimination we go through. People can tell I’m at least ethnic Chinese from my Mandarin last name. I really don’t think anyone I ever meet knows about the intricacies of Taiwanese American vs. Chinese American, or waishengren vs. benshenren. 3/4 of my grandparents fled China for Taiwan in 1949. My maternal grandfather came to Taiwan as a student after World War II and was stuck there when the situation in China deteriorated. My paternal grandfather’s dad was a decorated KMT general escaped Communist capture in Nanjing and my paternal grandmother is from Shanghai. Even my maternal grandmother, a native of Taiwan, has mainland roots. My parents identified themselves as Chinese-American, though my mother understands more about Taiwanese culture than my father. Influenced by my grandparents, and their parents origins, I did a lot of research and self-taught myself on both Chinese and Taiwanese history, and found myself proud of both identities. I even studied abroad in Taiwan and took courses on the topic. I still think myself as Chinese-American, because of my roots. I didn’t really get the full grasp of the Taiwanese-American identity until my early 20’s when I got involved with TACL, and found myself as an outsider when I went to my first convention. I didn’t meet many waishengren descendants, and learned 228 has become the root of the modern Taiwanese identity. Both of my parents are from Taiwan. However, my paternal grandfather is from Fuzhou, Fujian, China. My father had always told me that we are Chinese so I always assumed that everybody in Taiwan was Chinese. I was also really into Chinese culture and I enjoyed reading Chinese folk stories such as Sun Wu Kong (The Monkey King). 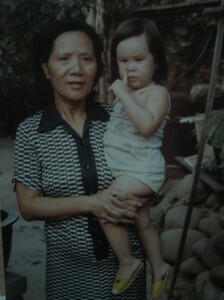 Basically, all of my life in my early years, I was proud of being a Chinese-American. It wasn’t until my late teens that I found out that many people whose parents from Taiwan hate being called Chinese and only considered themselves to be Taiwanese. So it was like a very shocking experience for me to fully realized that. I think the reason that my father considered himself to be Chinese was because he was a Waishengren. In the end, I finally do embrace the Taiwanese identity in addition to the Chinese identity. However, I think I still am more comfortable in embracing as a Chinese-American because of my Waishengren background and because of the fact that it was the first ethnic identity that I adopted. I am still proud of being Chinese and I even support Chinese reunification between Mainland China and Taiwan.